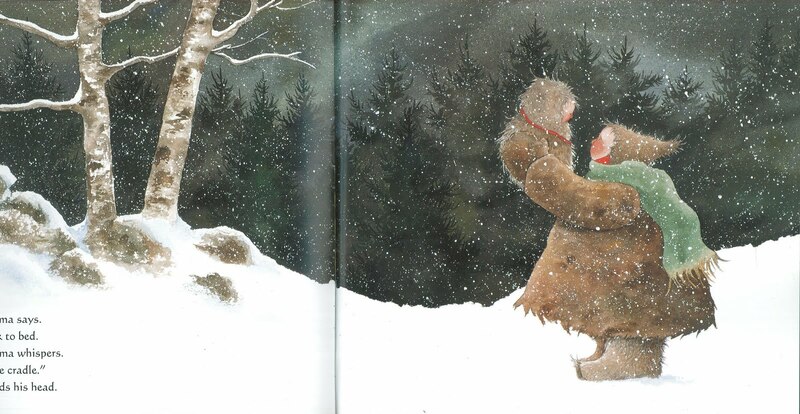 It's Snowing is a gorgeously watercolored book by Olivier Dunrea. Her ability to capture the accumulation of snow and the textures that are part of the winter scene are warming in the nostalgic sense of the word, as the chill of snow is deterred by the warmth within the shapes and colors of the characters. Who couldn't melt when looking at that plush fur coat and rosey cheeks and chilled nose?